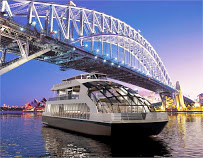 Built at Aluminium Boats in Brisbane, MV EPICURE is now working on Sydney Harbour. One of the finest types of this style of vessel in the world today. The kitchen alone reportedly cost close to 1 Million dollars! 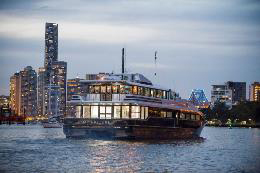 MV EPICURE is available for exclusive charter and is already booked out months ahead. Foreshore Marine Exhaust is proud to have been the designer and supplier of both main engine and generator exhaust systems. MV EPICURE II is being refitted in Brisbane and will be ready for charter work soon. 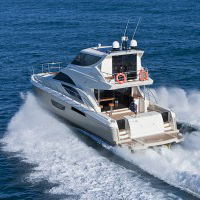 Foreshore Marine Exhaust supplied the generator exhaust system for this vessel also.